Providentially timed, in 2013 the Tekakwitha Conference National Center was relocated to Alexandria, Louisiana. It is only appropriate that the spiritual influence of St. Kateri flow from Louisiana in these times. She was totally Catholic. The Louisiana environment and the source of its creation (named The Great Waters, the The River of the Holy Spirit, then The River of the Immaculate Conception and now the Mississippi River) would appeal to her. (For more on that go here.) 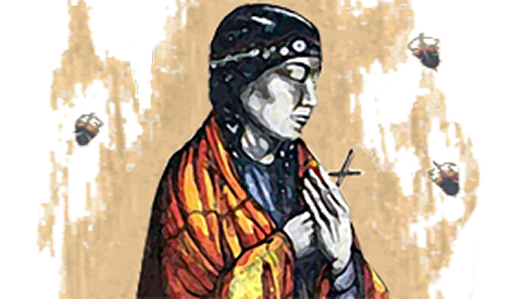 Ask regularly for St. Kateri's intercession in all matters. Make a pilgrimage to the center and become extremely aware of the power of this Holy Saint that lived in her native land long before it became America.